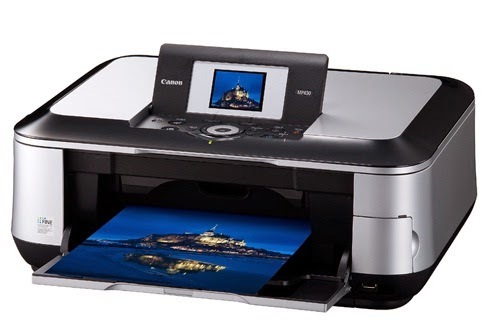 CANON PIXMA MP638 High performance AIO photo printer, support ChromaLife 100+ Photo System which can make photo store up to 300-year album life. PIXMA MP638 features Canon's FINE print head with 1pl ink droplet and 9600x2400 dpi professional photo print resolution, build in Multi card slot with PDF or JPEG file direct scan to memory card or USB drive function and 2.5" Color LCD for selecting photo and direct printing, it delivers prints with outstanding photo lab quality. It also offering high quality printing, PictBridge direct printing, memory card direct printing, photo reprint, DVD/CD print and copy/Wireless Printing as well as multifunction copying at a competitive price. A 4800 x 9600 dpi optical resolution CIS scanner for absolutely superb image quality. Click the link, and select (save), click "Save As", then click (save) to download the file. Files that will be stored in a place specified in form format is self-extracting.